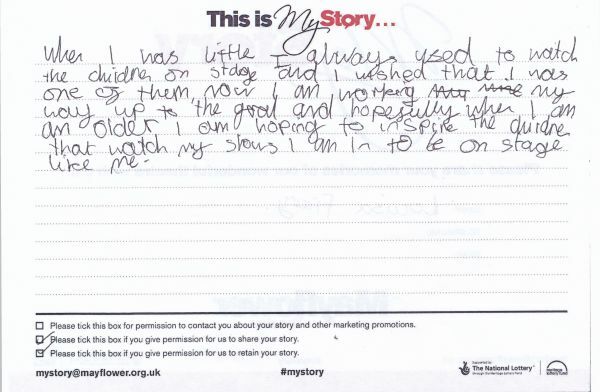 My Story card: Louisa Frary remembers being inspired and hopes to inspire future generations when she's older. When I was little I always used to watch the children on stage and I wished that I was one of them. Now I am working my way up to the goal and hopefully when I am an older I am hoping to inspire the children that watch my shows I am in to be on stage like me.